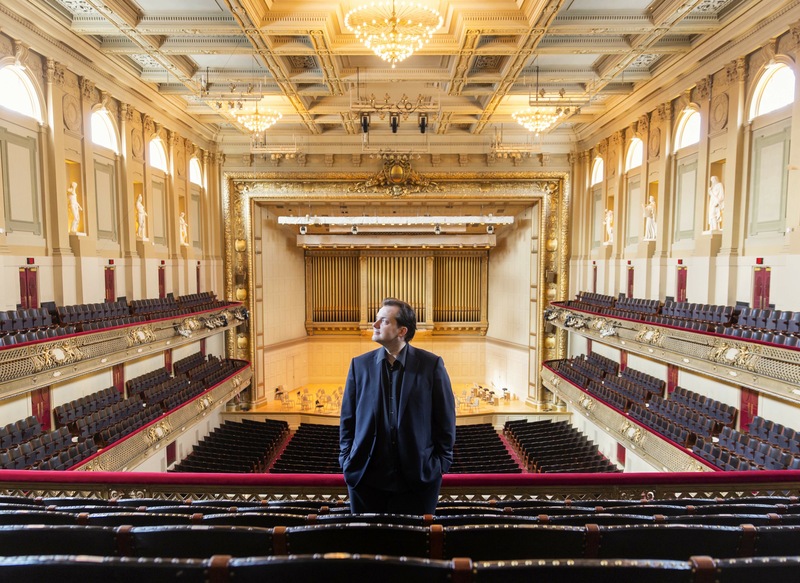 Recorded September 2014 and September 2015, Jordan Hall, New England Conservatory, Boston, Massachusetts; Sergey Schepkin, producer; Patrick Keating, engineer. Even if your only exposure to Bach’s great keyboard works played on the modern piano is one or another of Glenn Gould’s recordings of the Goldberg Variations (there are three, you know), you really should consider buying this new set of the Partitas on Steinway & Sons’ CD label. Don’t be scared off by the technical term “Partita.” All that means is that these are multi-movement works made up of parts; specifically, sections that usually were named after dances. Bach’s contemporaries would have understood the dance names such as “Sarabande” as giving an idea as to the tempo and feeling of each segment. The liner notes make the important point that this is not music to dance to; it is music for its own sake, about the idea or the ideal of dancing. Sergey Schepkin’s playing is technically as good as anyone else’s out there, and his interpretations are a moveable feast—by turns fleet, witty, and playful; or, delicate, subtle, and pensive (or even serious or solemn). This music can mind its own business in the background at Campari time, but it is also worth your undivided attention late at night. Recorded January 22-26, 2013, Schloss Bad Krozingen, Germany; Jonas Niederstadt, producer. What a wonderful project and what a wonderful recording! 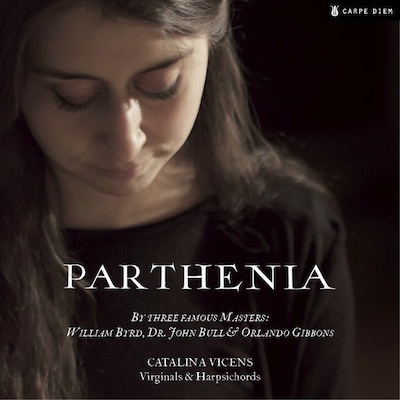 Catalina Vicens is an immensely talented and very hard-working Curtis Institute graduate, originally from Chile. She won an international early-keyboard competition hosted by the Bad Krozingen Castle. As a result, the Cultural Office of the City of Bad Krozingen and the the Fritz Neumeyer Historical Keyboards Collection made possible this, her début recording. This is one of the most impressive and engaging keyboard recordings I have heard in years. The recorded sound is pristine and very dynamic and satisfyingly reverberant—even better, the recording was made to audiophile standards using DPA 4006 microphones, and there are 24/96 and 24/192 FLAC downloads available. Just go for it! 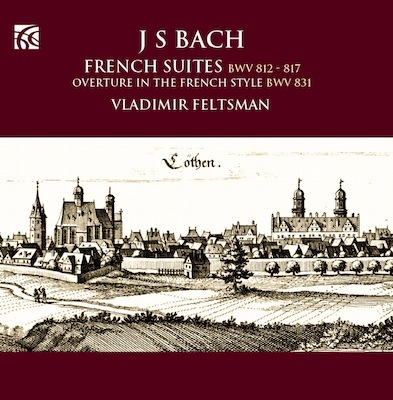 Vladimir Feltsman: J. S. Bach, The French Suites BWV 812-817; Overture in the French Style BWV 831. 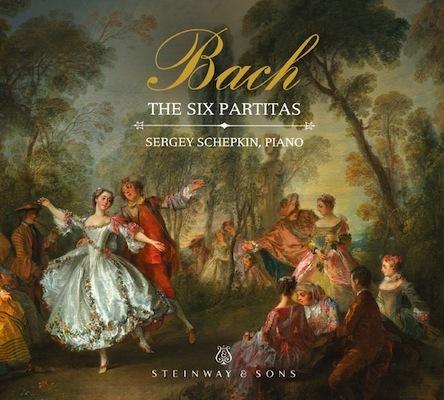 This wonderful 2-CD set will make a great gift for a friend who does not listen to a lot of classical music. That’s largely because the music is as accessible as it is beautiful. And while these recordings could serve as background music for other activities, they will also reward close attention during repeated hearings. Vladimir Feltsman was born in the Soviet Union in 1952. He made his début with the Moscow Philharmonic at age 11. (Interestingly enough, his father Oscar was a composer of popular songs and musical comedies.) Unhappy with political interference in the arts, in 1979 Feltsman applied for an exit visa, the result being eight years of virtual artistic non-person-hood. Alexander Toradze, piano; Jürgen Ellensohn, trumpet in Piano Concerto No. 1; George Vatchnadze, piano in Concertino Op. 94; Frankfurt Radio Symphony Orchestra, Paavo Järvi, conductor. In writing about Yevgeny Sudbin’s recent Scarlatti recording, I mentioned the Jungian Synchronicity that a few weeks before I downloaded the review copy of Sudbin’s recording, I had been engaged as a substitute to review for the Providence Journal a Rhode Island Philharmonic concert featuring Alexander Toradze playing Rachmaninoff’s Third Piano Concerto. Further, that for his encore, Maestro Toradze played the same Scarlatti “Aria” sonata that brings down the curtain on Sudbin’s program. 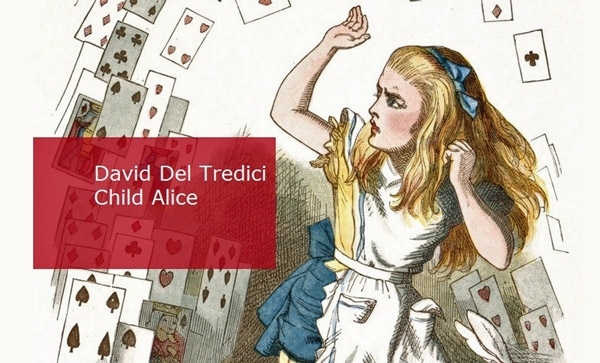 Please Kickstart SACDs of David Del Tredici’s complete “Child Alice”! 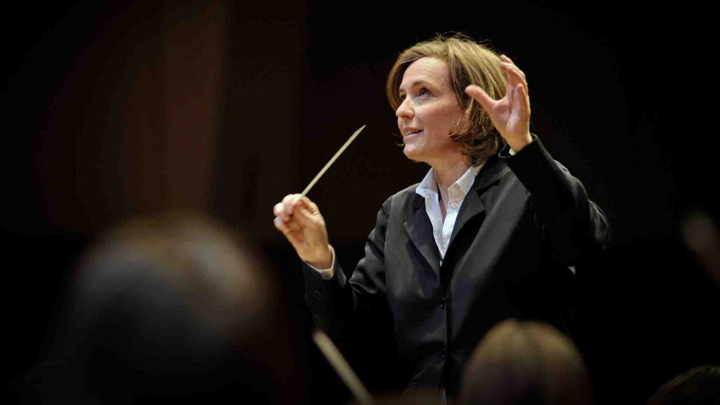 The ensemble is The Boston Modern Orchestra Project. Your cabbage, etc. will be in good hands! Not only is BMOP Musical America‘s 2016 Ensemble of the Year; they have successfully produced about 50 recordings, as well has completing four Kickstarter projects. (Some BMOP Kickstarter projects were not funded; but, that’s the record biz.) The project already has pledges totaling more than $10,000; about $3,500 additional is all that is needed. The higher-echelon donor rewards include autographed items. Complete Kickstarter info is here. The project video is not embed-able here, but it presents snippets from the live recording. 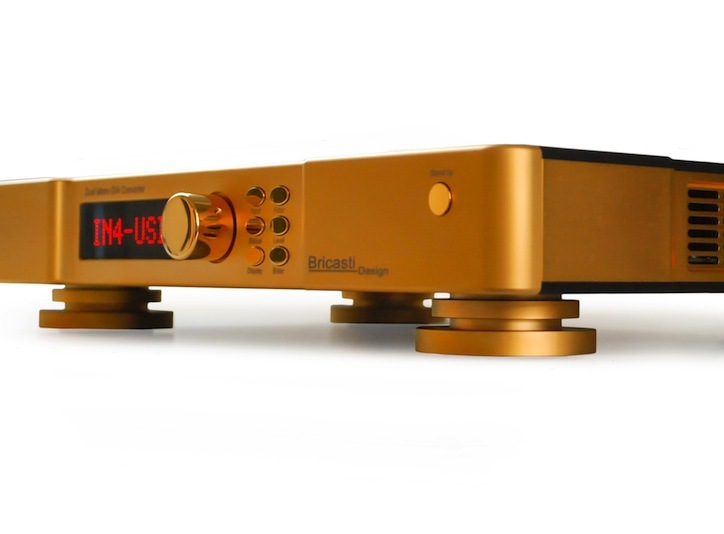 Thanks to Stereophile‘s Kalman Rubinson for bringing this to my attention. Sonatas K 417 in D minor; K 208 in A major; K 159 in C major; K 56 in C minor; K 213 in D minor; K 125 in G major; K 373 in G minor; K 119 in D major; K 69 in F minor; K 425 in G major; K 29 in D major; K 99 in C minor; K 12 in G minor; K 479 in D major; K 9 in D minor; K 318 in F sharp major; K 141 in D minor; and K 32 in D minor. AUTOGRAPHED Compatible stereo + MCH SACD/CD BIS 2138; CDQ or 24/96 download, Classics Online. Domenico Scarlatti wrote these sonatas for his patroness Maria Magdalena Barbara, the Infanta of Portugal. 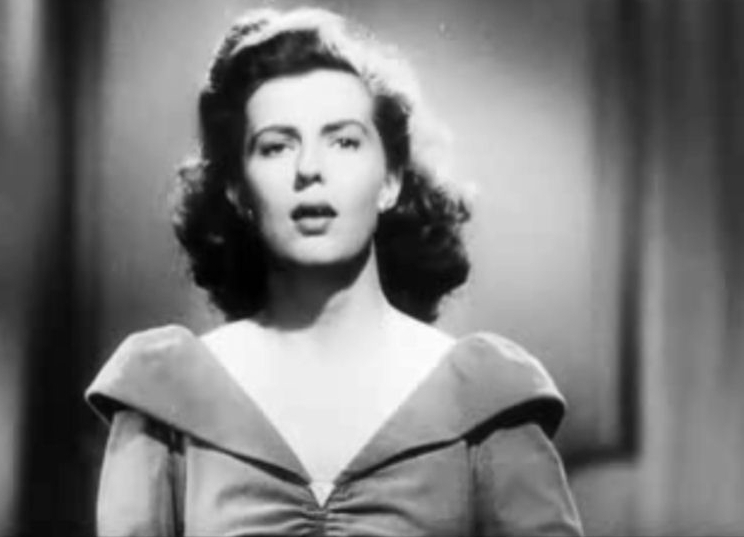 Mitzi “married up,” later becoming the Queen of Spain. (No, her nickname was not “Mitzi;” so, don’t bother writing in. But please, do find a different reason to write in!) Maria Magdalena Barbara had a nearly-insatiable appetite for… keyboard sonatas. Scarlatti wrote more than 500 of them. Furthermore, Scarlatti wrote almost all of those sonatas for the harpsichord. Therefore, it is an historical irony, one reflected upon by Yevgeny Sudbin in his truly excellent liner notes, that today, these works are most often associated with Russian pianists; Vladimir Horowitz being the prime example. Sudbin claims that Russian musical education uses Scarlatti’s keyboard music more than does any other country’s pedagogy; and, that well may be true. 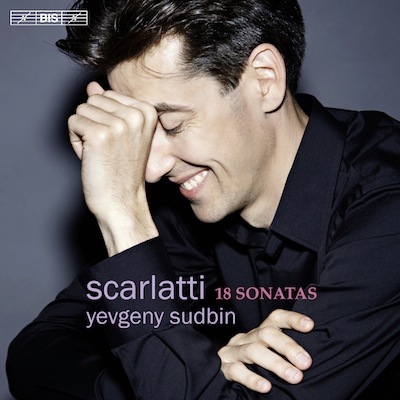 Ten years ago, Sudbin made his début (all-Scarlatti), recording for Sweden’s label BIS; it received rapturous reviews. Volume Two, so to speak, is his tenth-anniversary celebration. Opera arias by Catalani, Mozart, Gounod, Bizet, Leoncavallo, Puccini, Bellini, Rachmaninoff, Dvořák, Verdi, and R. Strauss. Say “Hello” to Marita Sølberg! 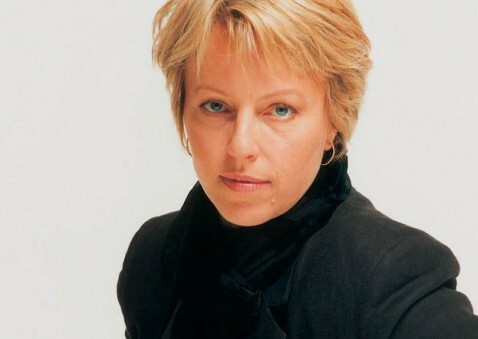 The program starts with a very well-played (Norwegian National Opera Orchestra; John Fiore, conductor), well-recorded orchestral introduction to the famous Puccini-esque aria “Ebben; Ne andro lontana” from Catalani’s obscure-except-for-one-aria opera La Wally. So far, so good. Generous sound clips and more, after the jump. Clickez! This CD is not just for classical listeners—anyone who loves beauty and wants more of it in his or her life should buy this recording. This cleverly-constructed disc is arranged like an old-fashioned recital program. Serious music at the start (if you want to call Schubert’s contagiously lighthearted Arpeggione sonata “serious,”); followed by a guitar/cello treatment of Falla’s Spanish Popular Songs; then a wee homeopathic dose of accessible new music; and then all four shoes drop in a succession of surefire crowd-pleasers: “Dance of the Blessed Spirits,” “The Swan,” Bachianas Brasileiras No. 5 (“Aria”), and finally Paganini’s Moses variations. Words about the performers, followed by some generous sound bites, await you after the jump. Clickez-vous, s-v-p! 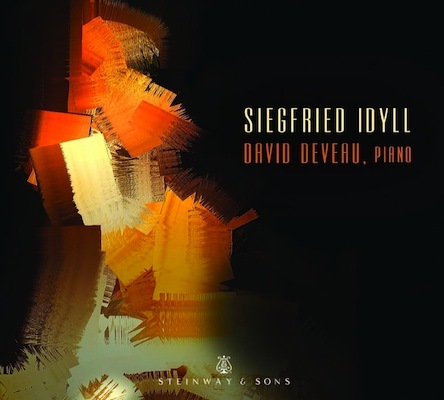 This completely musical and unusually thoughtful recital program by David Deveau is not only a feast of pianistic tonal beauty and artistic phrasing. For my always-increasingly-meager shekels, of all the recent Steinway & Sons CD solo-piano releases, this is the one that most closely approximates my ideal of what a great piano recording should sound like. 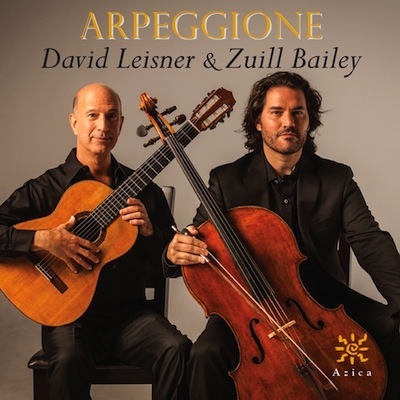 So, audiophiles: please vote with your wallets by buying this CD! Words about the performer, the program, and the recording venue (followed by some generous sound bites), all await you after the jump. Clickez-vous, s-v-p! Faure: Requiem, Op. 48; Cantique de Jean Racine, Op. 11; Laurence Equilbey, Accentus. Sandrine Piau (soprano), Stéphane Degout (baritone), Luc Héry (solo violin), Christophe Henry (organ); Maîtrise de Paris, Patrick Marco, musical director; National Orchestra d’Ile de France, conducted by Laurence Equilbey. Gabriel Fauré was one of the first students admitted to the new school founded by Louis Niedermeyer to give training in classical religious music (by which he must have meant chant), and the rediscovered polyphony of Palestrina and other Renaissance and Baroque masters. Fauré was hugely influenced by Camille Saint-Saëns and César Franck. It was Franck to whom the young Fauré dedicated his student work Cantique de Jean Racine. Click the continuation link to access a sound sample of Laurence Equilbey’s and Accentus’ wonderful 1905 orchestral version of Cantique de Jean Racine. It is my final Holy Week music pick for this year.